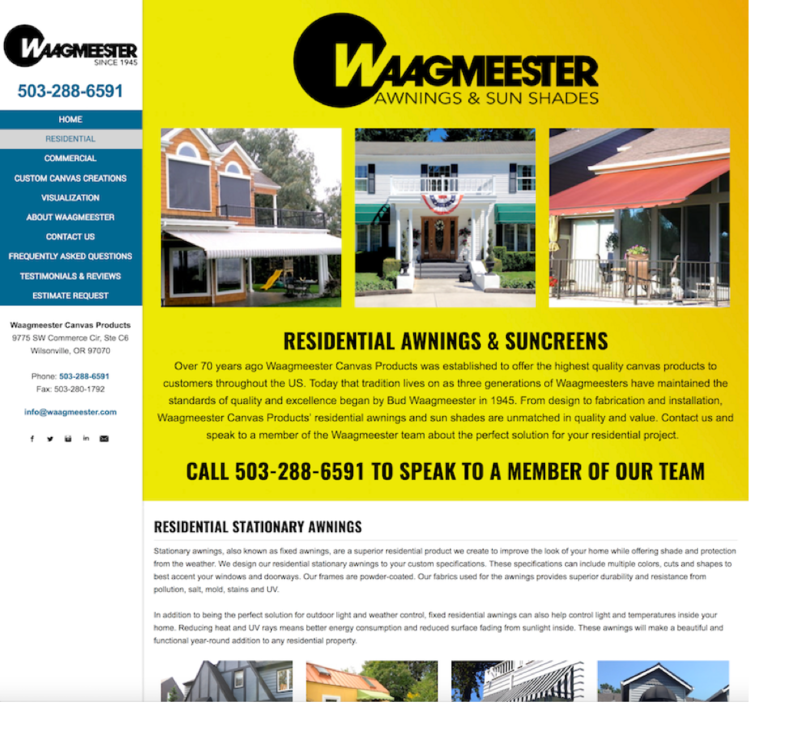 This website is dedicated exclusively to our residential and commercial awnings and sun shades. 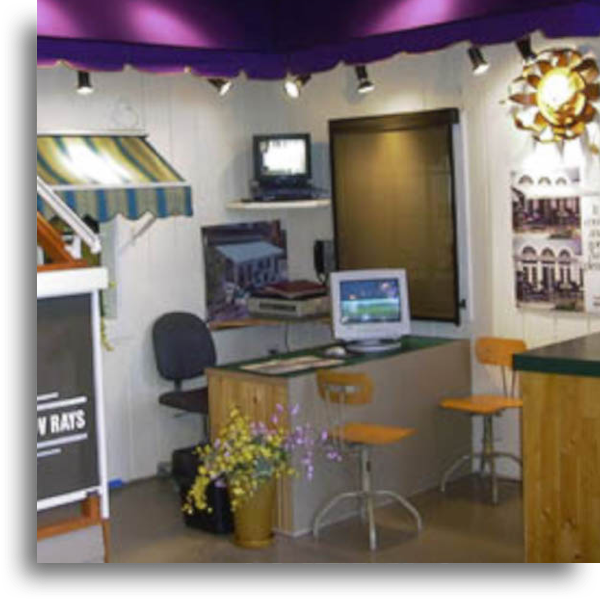 You'll find lots of information, galleries, estimate request forms, visualization ideas and more. 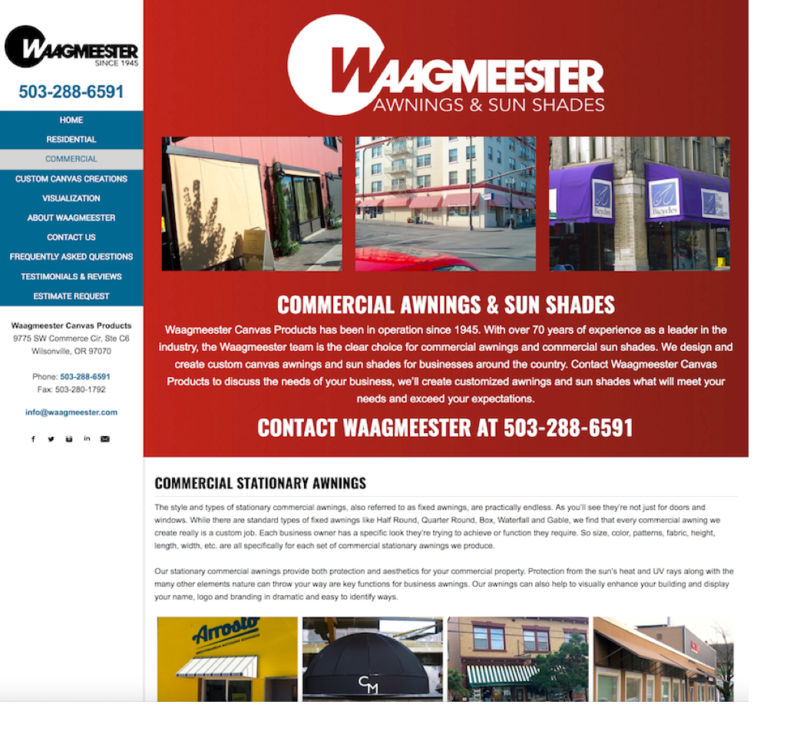 Click the Waagmeester Awnings & Sun Shades logo or the PortlandAwning.com link above, or click any of the 4 images below to visit our new awning and sun shade site! 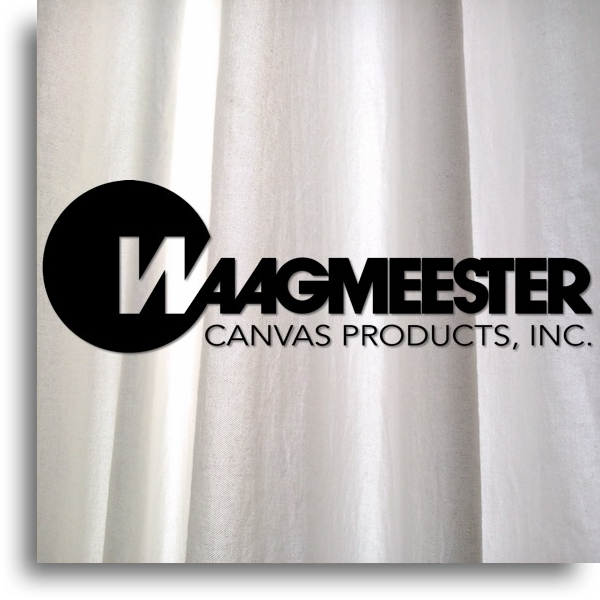 Waagmeester Canvas Products has been building and installing awnings since the company was founded in 1945. 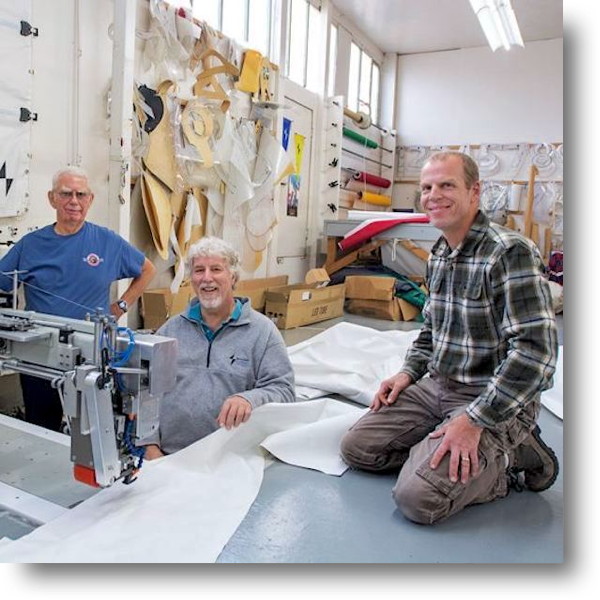 We remain family owned and operated. 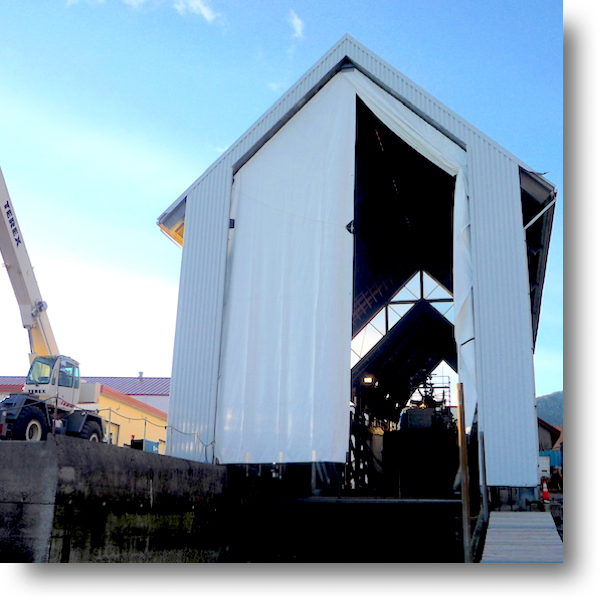 We pride ourselves on the quality of our products and services. 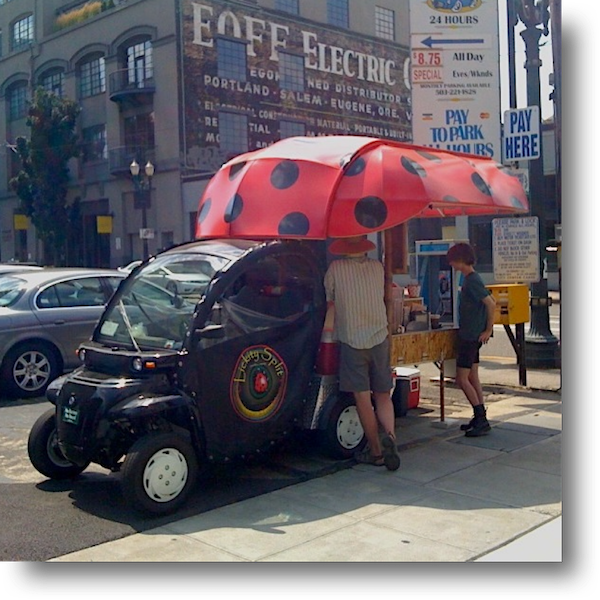 We chose to build our reputation on providing the best products and services. 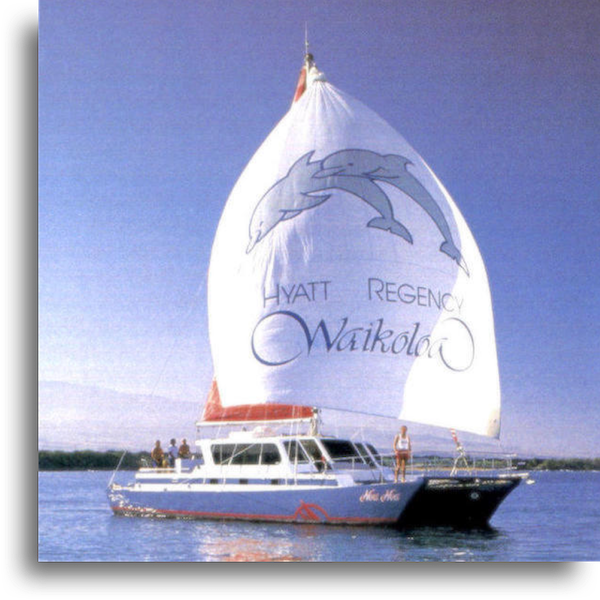 Additionally, we have developed long lasting relationships with many of our customers. 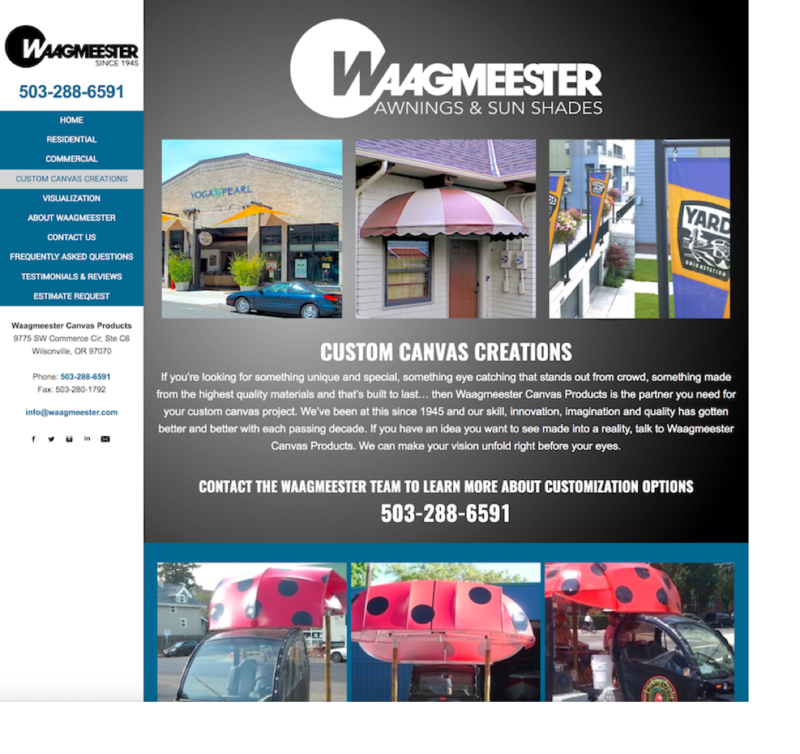 ​Waagmeester Canvas Products is constantly looking for ways to help our customers with the purchase of their new awning system, whether it is a retractable deck cover, protective sunscreen or a stationary awning. Come talk with us about what you really want. 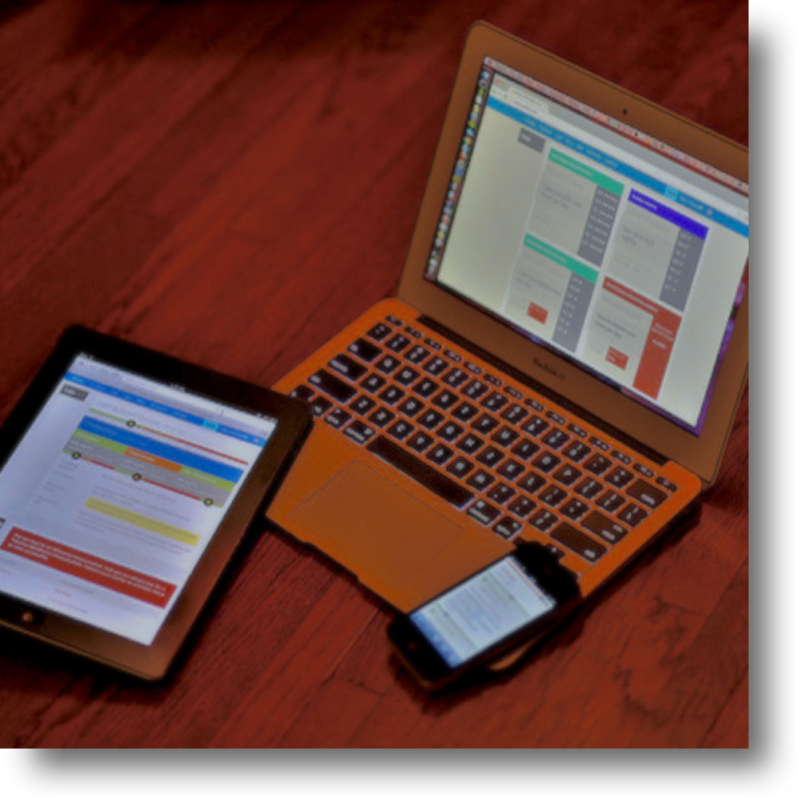 We can discuss the options with you and make a recommendation that considers your objectives, dreams and budget. 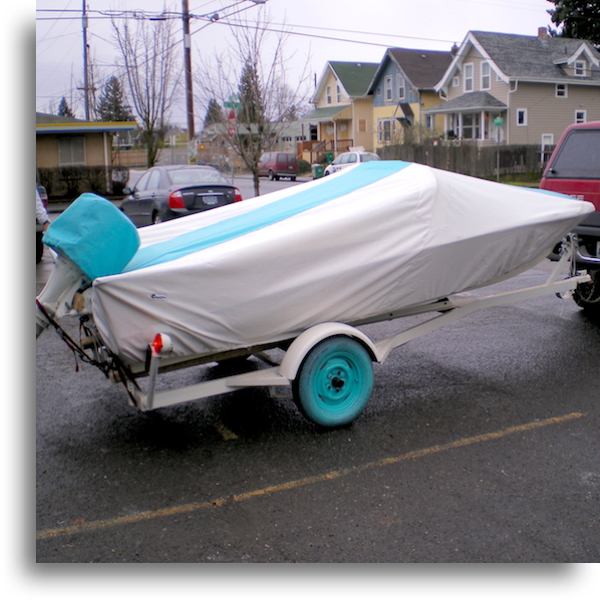 Our expanded, state-of-the-art facility in Wilsonville, OR offers you a comfortable place to explore your options. 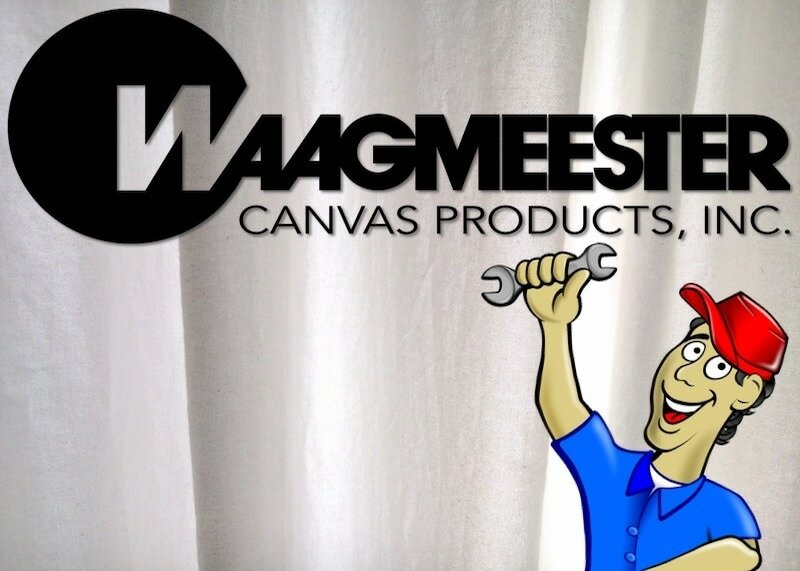 Stop in and speak to a Waagmeester Canvas Products' design specialist. 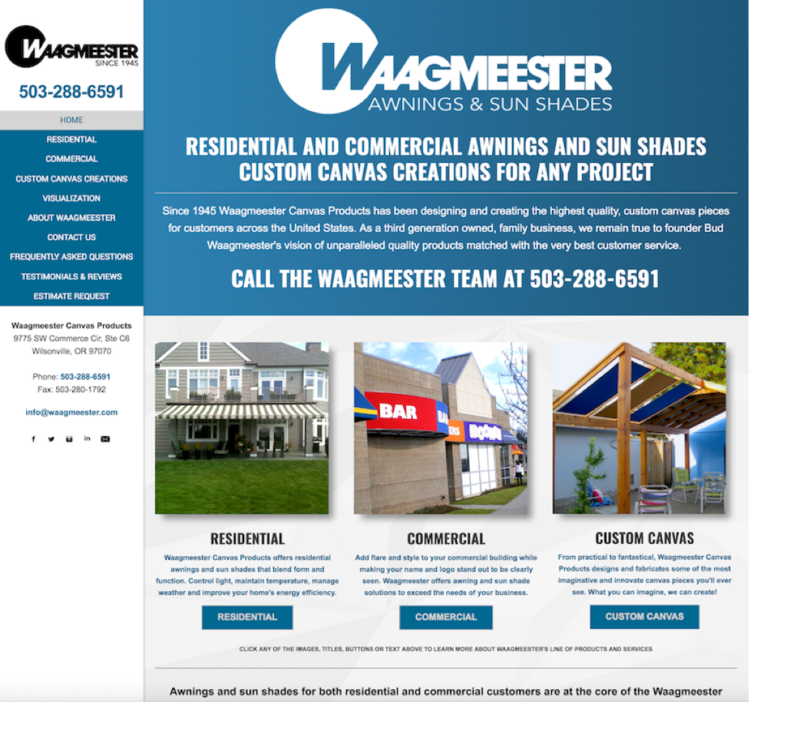 We'll create a custom estimate and on some projects we can produce computer renderings to give you a realist view of how your project will look.